Vismara is a company specialised in the production of rigorously Made in Italy luxury furniture: the catalogue offers a wide range of high-quality furniture and accessories, from home theatres armchairs to billiards, motorised TV stands, sofas, bookcases, mirrors, vases and lamps, all conceived by the most skilled and expert interior designers. Vismara provides everything you need to furnish your home with taste and elegance, hence designing private game rooms and home theaters that reflect a painstaking attention to detail and are adorned with a lot of modern and classical accessories and decorative items, so as to give a slight touch of authenticity and panache to all environments. Nowadays, Vismara represents one of the most brilliant and renowned companies of outstanding international significance; it is specialised in “luxury furniture” for the living area, the game room and the home theater. Over the years, Vismara has been able to expand its catalogue with innovative products, all designed to dramatically enhance the environments – its beautiful wall compositions, which are in fact designed so as to arrange the TV screen and last generation A/V systems, stand out as a perfect example. Its offer includes many collections of luxury furniture for the living area, ranging from tables, chairs, sideboards, bookcases, sofas, lamps, armchairs and small tables to its exclusive pool tables, poker tables, roulette and chess tables. Back in 1953, three brothers – one inlayer, one cabinetmaker and one wood carver – decided to pool their efforts and skills to make their dream come true: this is how Vismara sprang from these men’s passion in Seveso, Brianza, in the very heart of northern Italy, and became a classical furniture factory. Over the years, the company has been able to boost increasingly more prestige, so that it has now become an international brand thanks to its fabulously rich and refined offer. During the 1990s, thanks to the intuition of Pino Vismara, a visionary designer, the company has experimented new creations in an effort to interpret the then market trends in a far-sighted manner: it has therefore designed the collections dedicated to entertainment, equipped walls and TV furniture. During the 2000s, Vismara has also focused on the living area [link], hence creating exclusive products of both classical and baroque design with more modern silhouettes. At the same time, it has opened up to home entertainment with ad hoc projects dedicated to private home theaters and luxury game rooms, which soon gained acclaimed worldwide success. Thanks to its luxurious and innovative products, as the fruit of expert architects and designers’ experience and passion, Vismara is a well-known brand both in Europe and all over the world. The company perfectly combines the usage of latest generation technologies with panels, hidden systems and other customisable products so as to create comfortable and highly functional environments. 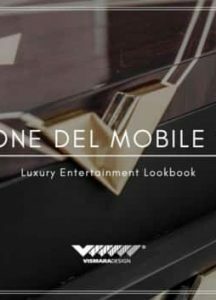 The brand has been able to merge the most authentic Italian manufacturing tradition with a modern and innovative spirit: carvings, silver leafing and gilding, subtle details, all finely combined with the most advanced electrical mechanisms – such as the TV furniture ones. 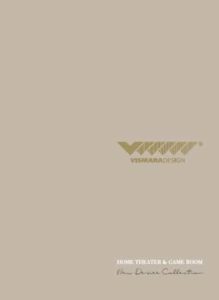 The top quality of materials, all certified and guaranteed by Vismara, makes this renowned brand one of the most important rallying point in the luxury furniture industry. 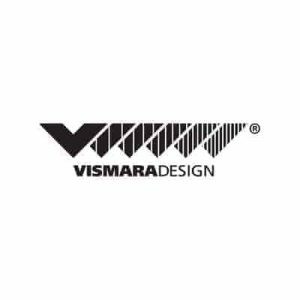 NEED MORE VISMARA DESIGN INFORMATION ?